A celebration of children — and a project that supported them. The children are splashing in a creek, kicking a ball, sitting in a classroom. The award-winning photographer Paolo Patrizzi captured these moments to document the work of the Actions to Reduce Child Labor (ARCH) project in Liberia, implemented by Winrock and funded by the U.S. Department of Labor. 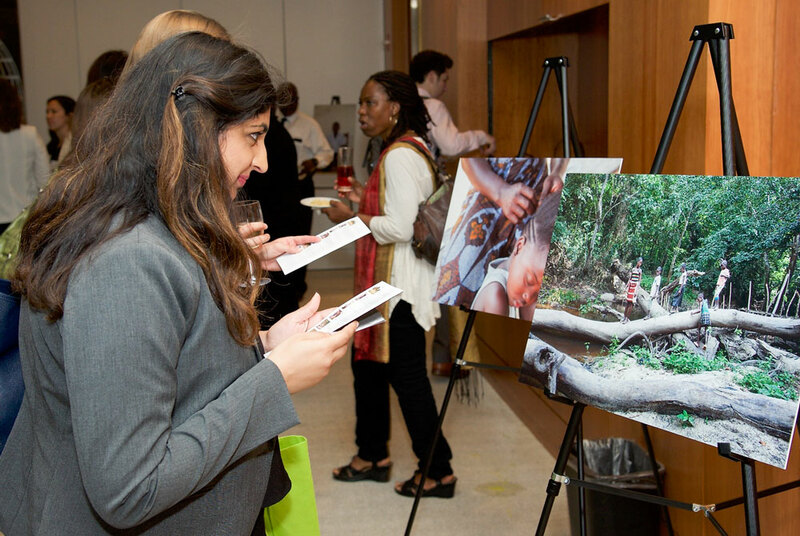 More than 100 people came to a June 6th Washington, D.C., reception to view the photographs and celebrate a program that removed and protected more than 10,100 Liberian children from exploitive child labor in the rubber-growing areas. Over 100 people viewed the photographs of children at school and at play. When ARCH began, more than 70 percent of children in its target communities were in some form of child labor. Four years later, that number was halved. Joining Ferguson at the podium were Sen. John Boozman (R-Ark. ), Famatta Deline Manu, minister counsel on economic affairs at the Embassy of Liberia in Washington, D.C.; Marcia Eugenio of the Department of Labor’s Bureau of International Labor Affairs; Reid Maki of the Child Labor Coalition; and Jeff Morgan of Mars Global Chocolate’s cocoa sustainability program. Sen. John Boozman (R-Ark.) 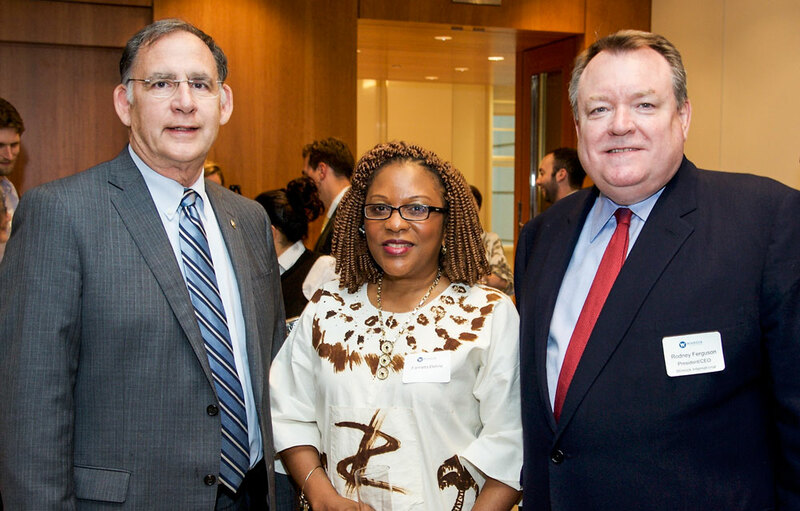 and Famatta Deline Manu, minister counsel on economic affairs at the Embassy of Liberia in Washington, D.C., with Winrock President and CEO Rodney Ferguson. 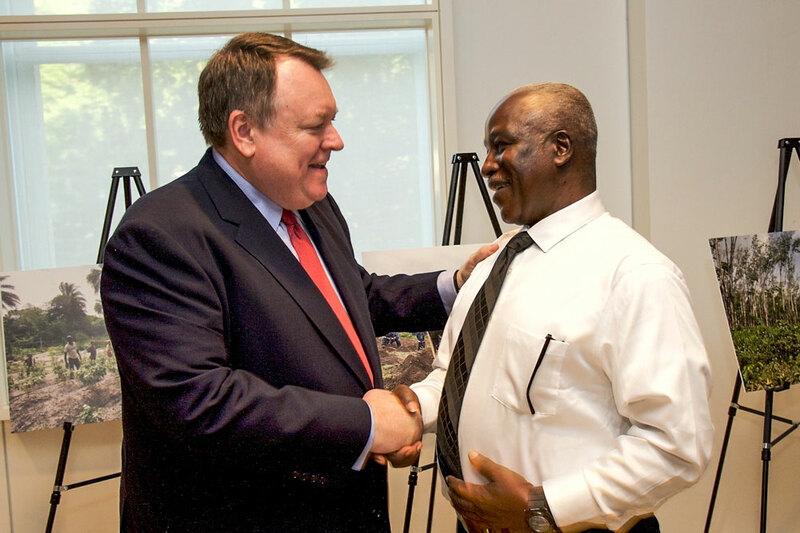 Since 2002, Winrock has worked in more than 25 countries to protect children from exploitive child labor in partnership with the Department of Labor, private sector leaders, local governments, NGOs and others. When ARCH began, more than 70 percent of children in its target communities were in some form of child labor. Four years later, that number was halved. Though ARCH has ended (with a conference and an exhibit of the same photos in Monrovia earlier this year), local stakeholders are taking over an ARCH school feeding program so that it, like many of the project’s benefits, will continue.